We care deeply about the satisfaction received by every customer. With this in mind, we offer a no quibble 30 day refund policy for all web hosting and site builder related services. There are a number of reasons why you may require a refund and cancellation for your hosting or webspace account. Sometimes things just don’t work out. Maybe you don’t require hosting – or didn’t understand what you were buying? Maybe you find it all too complicated and have decided to hire a web designer to do it all for you instead? Or just maybe you don’t like the control panel or maybe just something else, anything else. But… Don’t worry – our unconditional 30 day refund policy is very easy to activate! Let’s get to the nitty gritty. We cannot refund for domain name registrations. We simply cannot cancel them once they are registered so there is no backing out of domain names, now that’s that hard stuff out of the way! 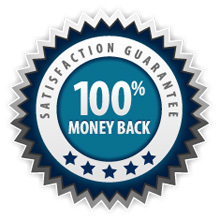 We can pretty much refund for anything else as long as you are within your 30 days, after that it is up to the discretion of the management – and they are pretty good as long as you have a valid reason, we don’t want unhappy customers, we don’t believe in making you stay with us if you don’t want to! This is the simple part. Go to the eSupport HelpDesk, raise a support ticket asking for a refund on your particular product, provide your order number and for speed of execution if there is a domain name involved, mention that you understand that it cannot be refunded. The HelpDesk will then action your refund with NO FURTHER QUESTIONS!